by Caesar Wright for Mini Storage Messenger - Developers Handbook. For the last few years, Boat and RV Storage has been the driving force behind the growth of the Storage Industry. It remains one of the top searched topics for new developers looking to get into the Storage Business. 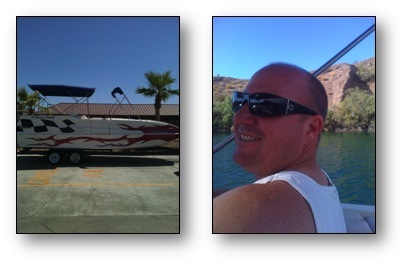 The plus side is that Boat and RV Storage is impervious, in many cases, to saturation of the Self Storage markets. In areas where Self Storage might be overbuilt, market demand for RV and Boat Storage is still high. Part of the reasoning behind this is that Self Storage caters to a different sort of client. The only major common thread between the two types of tenants is the need for space and a willingness to pay for it. Years ago, someone described Self Storage as a “crisis based business” I’ve always liked that description because it’s the raw truth. Some of life’s biggest catastrophes are the driving force behind a successful self-storage business. Alternatively, the Boat and RV Storage tenant entrusts a Storage proprietor with the metaphorical “key to their happiness.” Within the spaces they rent, they store the vehicles that connect them to the roads, lakes and National Parks that make America so diverse. They enlist our Self Storage Businesses to safeguard their boats and RV’s that have become more than just vehicles and are now memory-making instruments. Happiness, however, doesn’t necessarily pay the bills – so while the Boat and RV tenant might be a more long-term and stable tenant, they also pay far less per square foot for the space they rent and take up a whole lot more of the available land. The “key” to any successful self-storage project is to find the right parcel, in the right market, for the right price….and then….build the “right” product. In a side-by-side analysis, on the same parcel with positive demand for both products - Self Storage wins. It’s less land intensive, generates a higher rent per square foot and can be less expensive to develop. The key words are “positive demand” – and that is where Boat and RV Storage has a leg up on its sibling. Developers have shied away from the product because of its downside – creating a supply and demand consideration that has developers re-examining it’s value as a stand alone business. 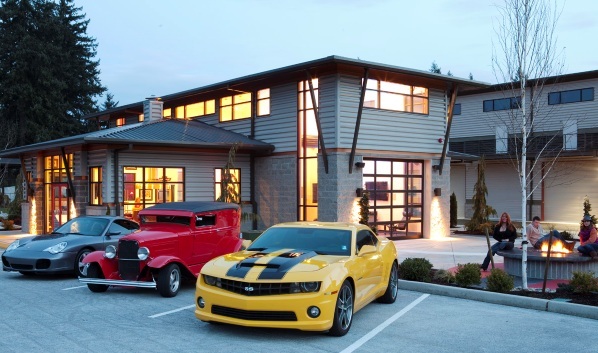 In 2012, according to RCA Analytics, Commercial property is valued as low as it was more than 8 years ago. Lower land values have opened the door for increased ROI for would-be Boat and RV Storage Developers. According to the RVIA – despite the economic downturn, more than 280,000 new RV’s were manufactured and shipped to wholesalers across the US, marking a 13.2% percent jump from 2011. More supply = more demand. With many new housing starts incorporating HOA’s that limit the storage on a homeowners property of Recreational vehicles; in conjunction with the fact that property is less expensive and demand getting stronger – Boat and RV Storage Development has gotten the attention of the industry. We’ve discussed the fact that Boat and RV Storage is more “land intensive” but a common question is “Just how much space do I need to develop a Boat and RV Storage Project?” While there is no true formula that works in all cases, most of the ideal self supporting Boat and RV Businesses are operated on parcel sizes much larger than a standard Self Storage site. We asked Jo Beth White, a Market Feasibility Expert and President of Development Services Inc. to tell us what parameters make for a good Boat and RV Storage site. “For a facility to be profitable, a large site would need to be chosen, upwards of 7-10 acres to be able to adequately support the cost of the facility versus income generated. Land cost would be predicated on the income levels generated on the site, but in all instances full lease up should occur in 24 months with breakeven occurring in the mid 14-16th months,” says Jo Beth. Using a 50% coverage ratio (which is good – but not always possible)– yields approximately 217,800 sq ft. to 304,920 sq. ft. of space under roof when built out. According to Dr. Richard Curtin, an RV Industry Analyst and Director of Consumer Surveys at the University of Michigan – the average unit size for an enclosed RV Unit is a 14 X 40 or 560 Sq. ft. We recommend to our clients that they offer a mix that ranges from 12’ – 15’ wide for RV or Boat use. DO I REALLY NEED THAT MUCH LAND? Part of the reason that Boat and RV Storage is so land intensive is the drive aisle space that needs to be factored in order to achieve the best and easiest access into the units. We recommend that you accommodate for at least a 50’- 55’ drive aisle where you are accessing 40’ deep units, and if space is available, to accommodate for more. RVs and Boats with Trailers are difficult to maneuver. The more space you allow your tenants the better the experience they will have. It’s important to note, however, that there are successful Boat and RV Storage facilities operating on parcels much smaller all across the country. Industry averages look at Nationwide Statistics. A business plan that functions in South Florida will not necessarily equate to success in Bozeman, MT. The key is to do a comprehensive cost vs. return on investment analysis and make sure that you have a clear understanding of your market and the propensity to rent. Market demand is a key driver to the success of any business - Self Storage and Boat and RV Storage not excluded. Proper due diligence will help you to assess how much you can afford to pay for a piece of dirt based on the amount of Rent per square foot of space and the anticipated construction costs. Less than a decade ago – most Boat and RV Storage sites were situated on “barely developed” land that allowed vehicle parking as a placeholder while the owner waited for something bigger and better to come along. While still a productive method of storing vehicles, many of the RV owners today are taking strides to protect their RV’s and Boats, and are appealing to Storage owners to provide protection and security for their investments. 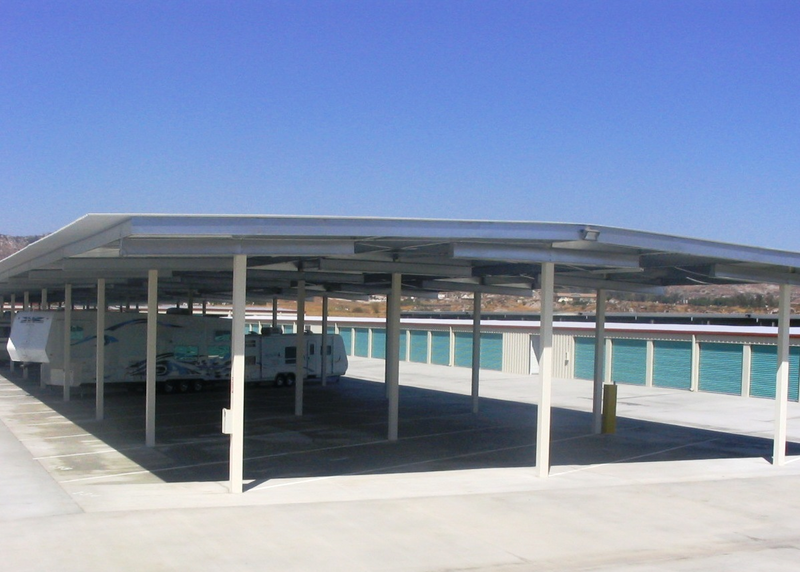 While this type of development is the cheapest way to offer Boat and RV Storage – it does not appeal to the discriminating tenant. It’s readily available in many markets and provides the lowest cash on cash return. 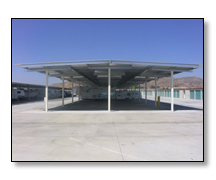 Canopies continue to be one of the most sought after products for Self Storage / Boat and RV Storage owners. The roof only structure deters most of the corrosive elements of weather and provides some long-term protection from the elements. While innately not “secure”, it can be constructed economically in most areas – using a light gauge welded “cee” design. When designing canopy storage, there are a few ‘rules-of-thumb” that we swear by. One of the most important cost savings considerations is in the roof. While we recommend a “Standing Seam” metal roof with Self Storage and Enclosed RV / Boat Storage – Canopy Storage, is by nature, “open”. We recommend utilizing a “Thru Fastened” roof with this product, as breaches can be easily identified and repaired. For the most economical approach, design posts spacing about every 24’0” (accommodating (2) side by side 12’0” parking stalls.) We recommend that you build at a clearance height of about 14’0. ” This economical approach to construction ranges from $20-$25 psf to “Turn-Key” and compared to it’s “open parking” counterpart – is a small investment to draw in a more selective tenant base. Fully Enclosed RV / Boat Storage is really the crème-de-la-crème of the storage “for rent” products, and should be designed and built with the most discriminating tastes in mind. This is a product that caters to the high end Class A RV’s and Boats – and will attract a more affluent and judicious renter. A typical Enclosed RV Building will consist of 14’0 wide units with depths ranging from 30’– 45’. 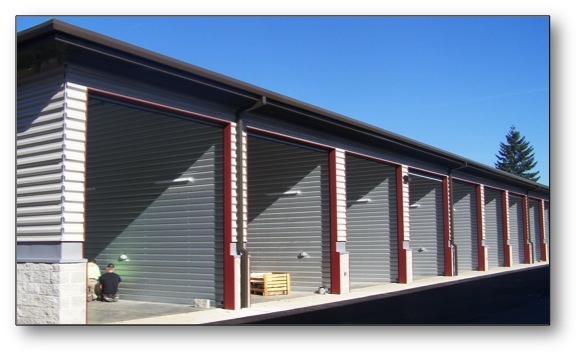 Typical unit sizes should accommodate a 12’ wide X 14’ high roll-up doors. A 14’ tall door will accommodate the tallest vehicle on the road today. This type of construction is essentially single story “Self Storage on Steroids” It’s bigger, it’s fancier, and its more expensive. If the “Enclosed Storage” is in fact, the “crème-de-la-crème” then Condo Storage has indeed figured out how to “best” the best. Condo Storage provides all of the amenities that would be considered standard for an upscale Boat and RV Storage Center, and devised ways to make “buying” a storage condo a considerable alternative to renting. Condo Storage or “For Sale” units – will often provide a selection of larger units and more attractive services and aesthetics. Most “Condo” type facilities offer customizable units (with mezzanine structure) , a clubhouse, insulated or climate controlled environments, and easy “lease to own” financing terms. It might be an expensive and at times, arduous endeavor, but it’s proving to be profitable in some markets, and worth considering. I use this term loosely – and I use it often: This is not rocket science –It’s Self Storage. Like all business endeavors, development is a gamble. The good news is that it is one that has risks that can be mitigated through proper research and by learning from the “mistakes” of the guys and gals that carved the path before you. What I have always loved about this industry is the willingness of the professionals that have found success to share it with other entrepreneurs. I encourage my customers and my staff to use this resource and to treat it like the precious metal that it is. While I would love to say that “Boat and RV Storage Development” is my passion….the truth is….it’s what pays the bills. The “Key to my Happiness” is stored in a 14’0” x 40’0” Storage Unit in Lake Havasu City, AZ.